The brave Mr. 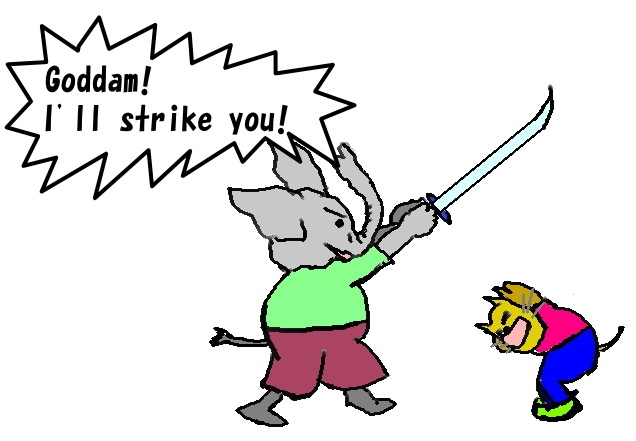 Elephant, who loves justice, struck the bad guy, of course! !